Learn and take home design school exercises for your classroom. Meet Tina Seelig and support young entrepreneur businesses. 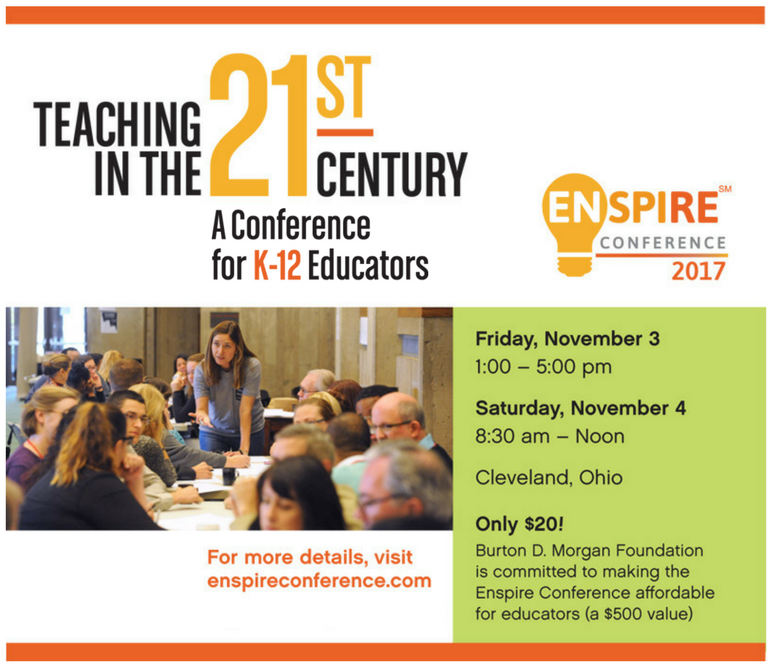 Meet and mingle with fellow teachers from Northeast Ohio and beyond. Kickoff to year-long leadership training from this award-winning professor. Learn about creative ways to fund classroom supplies and activities. Learn best practices in entrepreneurial education and parent engagement from your peers. Present your best ideas to others in this compelling session.